Two measuring principles - one sensor. The combiSENSOR from Micro-Epsilon performs non-contact, high precision thickness measurements on plastic film and insulators. An eddy current displacement sensor and a capacitive displacement sensor are combined in a single housing. This unique sensor concept enables one-sided thickness measurements of electrically non-conductive materials on metallic objects. 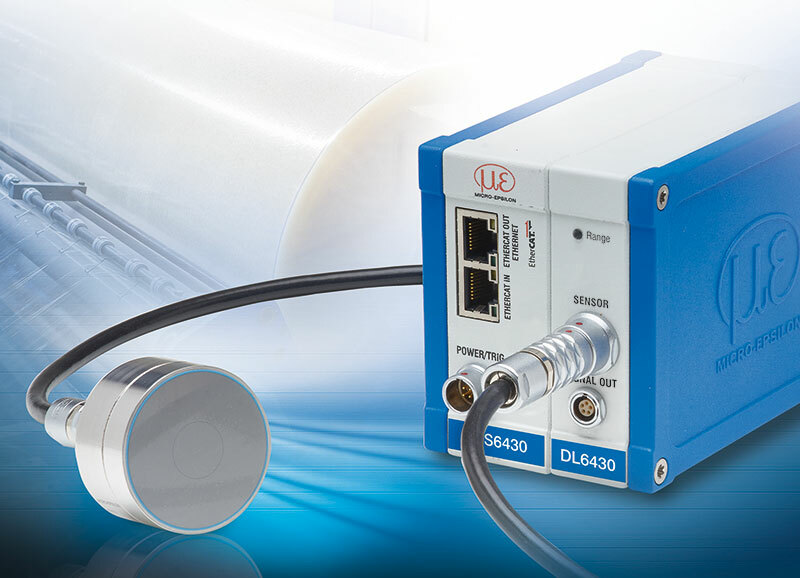 This sensor is particularly suitable for use in the plastics industry, for example, to determine the thickness of plastic coatings on metal sheets or to measure applied adhesives. The controller outputs the single signals as well as the difference between the capacitive and the eddy current measurements. Due to differential calculation of both sensor signals and integrated temperature detection, mechanical changes such as thermal expansion and deflections of the measurement arrangement are compensated for. Due to its high temperature stability, the combiSENSOR provides high measurement accuracy even with fluctuating ambient temperatures. An intuitive web interface provides ease of use. The controller also features Ethernet and EtherCAT interfaces.